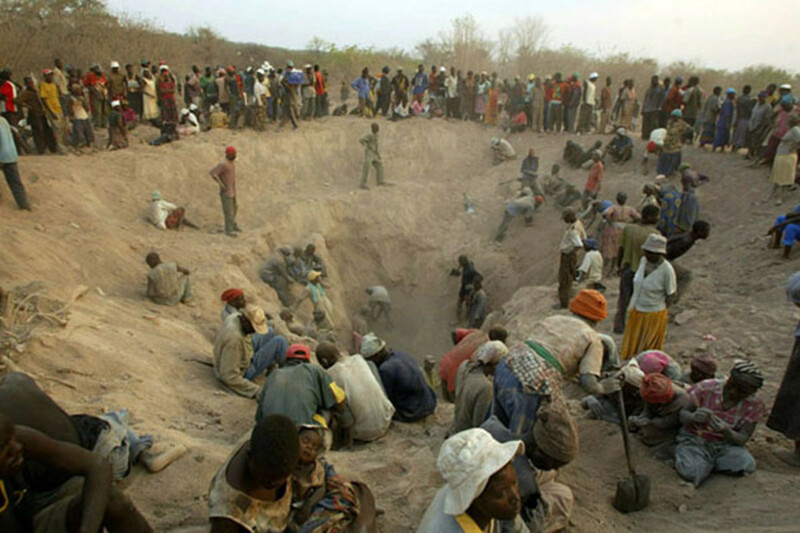 Are Conflict Diamonds Rigging Today's Zimbabwe Elections? Global Witness, the London-based resource watchdog, thinks so. Last year the deputy minister of mines admitted that Zimbabwe’s largest diamond mining company, Anjin, is 40% owned by Zimbabwe Defence Industries, a private arms company wholly owned by the Ministry of Defence. He stated that a further 10% is held by state-owned mining company Zimbabwe Mining Development Corporation (ZMDC). However our research has shown that ZMDC used another company, Matt Bronze, to incorporate its share in Anjin. Matt Bronze’s principal officer is Brigadier Charles Tarumbwa, a senior lawyer in the Ministry of Defence. An affidavit in the corporate registry indicates that Tarumbwa is a significant shareholder in Anjin. This raises concerns that Tarumbwa is receiving revenues from Anjin on behalf of the Ministry of Defence. Our research also showed that a second ZMDC joint venture, Mbada, is 25% owned by a company linked to Air Vice-Marshall Robert Mhlanga, a close confidante of Robert Mugabe, again pointing to possible off-budget funding to ZANU’s inner circle. 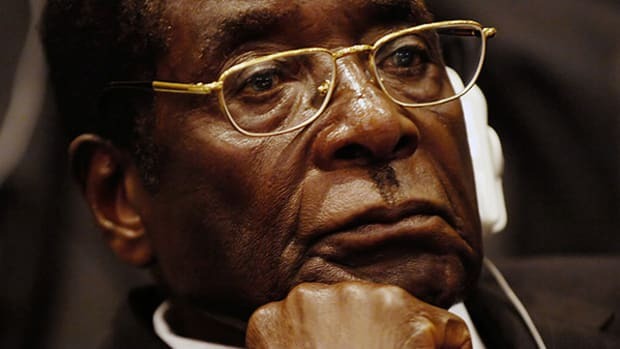 So Global Witness appears to have proven that members of the Mugabe government essentially nationalized a valuable diamond-mining region and several high-ranking officers profited personally. How do we know those profits are actually going to election-rigging today? From there the case appears entirely circumstantial. Global Witness says the diamonds-generals-Mugabe chain "could" be finding its way into today&apos;s elections. It seems easily possible from afar. But that link isn&apos;t established yet. 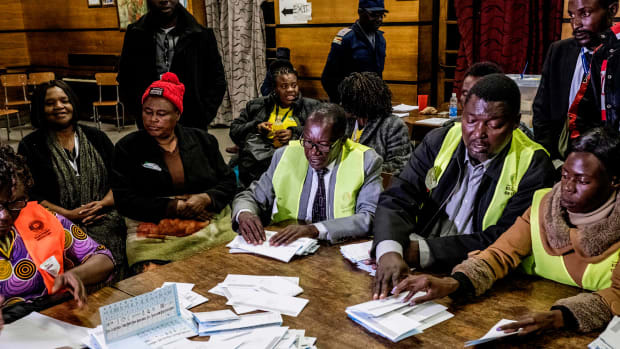 Human Rights Watch took a run at it last month, noting in slightly greater detail how Zimbabwe&apos;s election commission is largely made up of military staff, and military staff are largely in control of the diamond trade—and loyal to Mugabe. 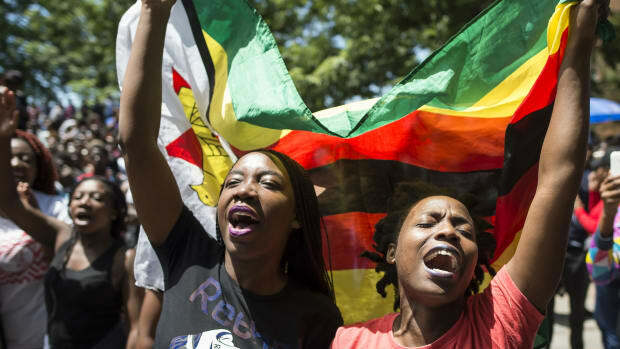 Crucial outstanding electoral reforms include reforms to a Zimbabwe Electoral Commission (ZEC) whose secretariat staff has been dominated by state intelligence and military officials. While ZEC has new commissioners, the secretariat staff is largely the same pro ZANU-PF team [ZANU-PF is Mugabe&apos;s political party] that worked for previous commissions. Several senior ZEC staff are either serving or retired members of the security forces drawn from the CIO, the army, and the police. Still, as Zimbabweans go to the polls, the case for diamond-fueled corruption passes a smell test but remains far from proven. At least by the international observers pushing it today. And with the polls still open, we&apos;ve yet to start seeing any on-the-ground testimony of vote buying, or investigation of where any such buying would have gotten its funds. Does the case for a diamond-fueled rigged election make intuitive sense? Sure. The dots are all there. 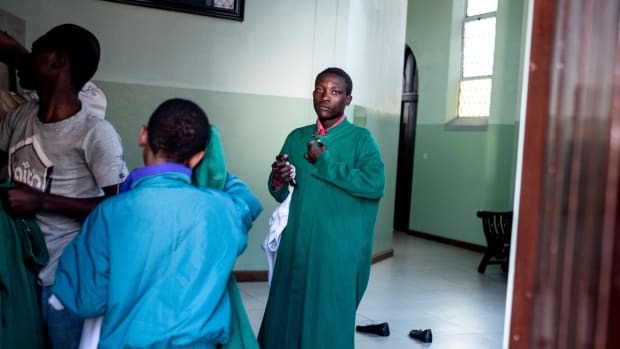 But no one&apos;s connected them—including us; we&apos;re not in Zimbabwe today. We&apos;ve put in a few calls to election observers in Harare, and we&apos;ll update the story if and when we hear back. There&apos;s also the small matter of the election outcome itself. If by the end of the day we learn that President-for-life Mugabe has lost, and then he actually steps down, then the accusation looks very different. In that case, the accusation was either wrong, or, more interestingly, the diamond money (read: the military) decided to back someone else. In a few hours we&apos;ll know. Did Robert Mugabe Steal an Election in Zimbabwe Last Week? 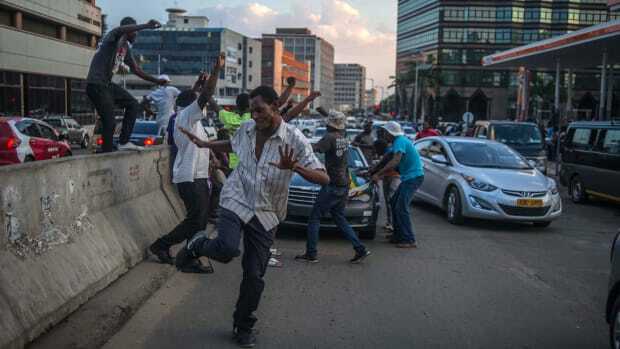 Harare residents celebrate in the streets following the resignation of Zimbabwe President Robert Mugabe on November 21st, 2017. During the hardline president's 37-year regime women were largely forced out of politics. Will things change under new leadership? Political Cheating: Do Election Observers Help or Hurt? 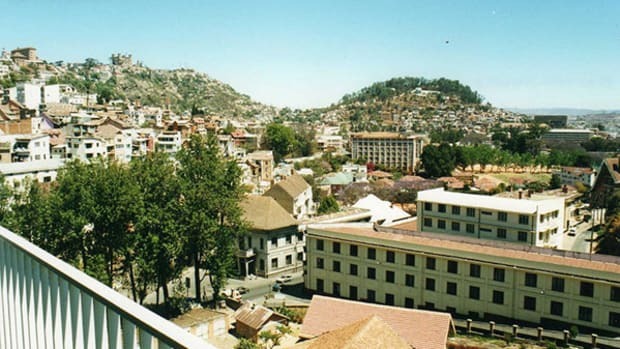 Tomorrow, 6,000 fraud cops will be deployed for elections in Madagascar, one of the world's poorest nations.